netTALK endeavors to give you everything you need from a traditional phone company, but without the enormously high rates that are sometimes associated with those traditional phone companies. To that end, they offer a variety of services and packages. This voice over IP service is designed to give you an array of options for international calls and more, but without having to deal with the structure of a monthly phone bill. You can choose from such devices as netTALK DUO Wi-Fi, netTALK DUO, and netTALK DUO II. 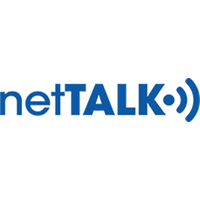 All you need to take advantage of netTALK is a home phone, a high-speed internet connection, and one of the devices currently for sale. For most up to date offers check out Net Talk on Facebook and Twitter or contact Net Talk Support for any questions.